Jacques is a local Southern Californian. He graduated from USC in Business, and has his Masters of Divinity and Doctorate from Talbot Theological Seminary. Jacques and his wife, Shelly have been married for 32 years. Shelly was a public school teacher for over 25 years and holds a Master's Degree in Counseling. Shelly is leading our Stephen Ministry at Ocean View. They also have two grown sons: Jean Paul, who recently married Katie and graduated from Fuller Seminary, and Cameron works in medical sales in San Diego. Jacques' passion is to love the Lord with all his heart, soul, mind and strength, and to love others as himself. He attempts to grow in his love for God and others through practicing the spiritual disciplines. Despite his name, he does not speak French. Jared serves as the Associate Pastor at Ocean View. He has served at Ocean View since 2005, and recently transitioned from Youth/Associate Pastor to his current role. He has served in youth ministry since 1998. Jared graduated from Fuller Seminary in the spring of 2005 with a Master of Arts in Theology with a Biblical Studies emphasis. Jared is married to Amy, a devoted Christ-follower and stay-at-home mom to their daughters, Alyson, Emily, and Bethany. With a passion to see people grow in faith, and taking Hebrews 12:1-3 as his life verse, "Pastor J" loves spending time with God, his family, preaching and teaching God's word, leading worship, hangin' with youth, chillin' with friends, eating, sleeping, reading, watching movies and sports. 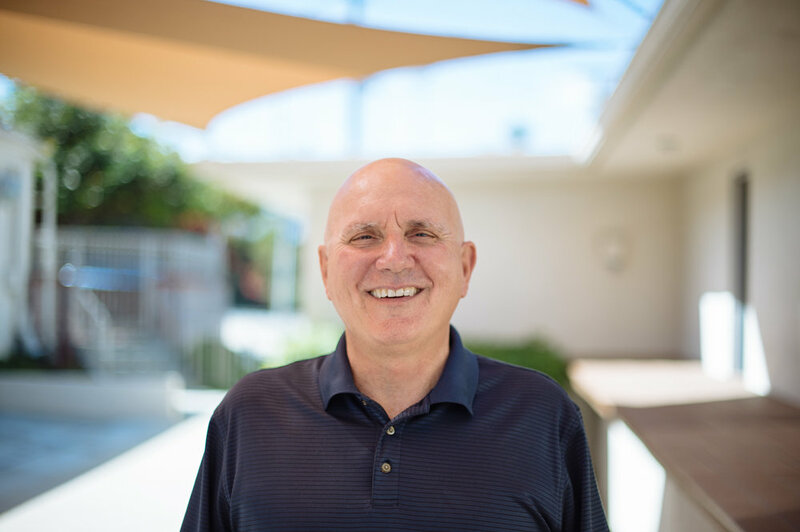 Dr. Richard T. Freeman, Jr.
Rich served as the Senior Pastor at Ocean View for over 20 years. In recent years, he has discerned a calling to help plant churches and provide encouragement to pastors in the country of Turkey. Together with his wife Laura, Rich founded Turkish Connections International, and serves as the Executive Director. We are thankful for his many years of faithful service to the Lord and the Ocean View family. Jean Paul graduated from Cal Poly San Luis Obispo in 2011 and received his MDiv at Fuller Theological Seminary. He oversees our church's mission in "Furthering His Kingdom," reaching out to our community and across the world with the hope and love of Christ. Together with his wife Katie, JP enjoys connecting with others, photography, surfing and spiritual formation. Bobby just finished seminary at Liberty University and has a passion for the mission of the church. You will see Bobby involved with many aspects of Ocean View's ministries as he is trained for a future in ministry. He is always in the mood for rich conversation so feel free to stop him and talk about the faith and life or Disneyland and the Beatles. Juven is the man that makes sure that the exterior and interior of this church remain tidy, functioning, and an enjoyable place to worship.